Welcome to Oakridge Estates, a wonderful family friendly community with large lots & mature trees. 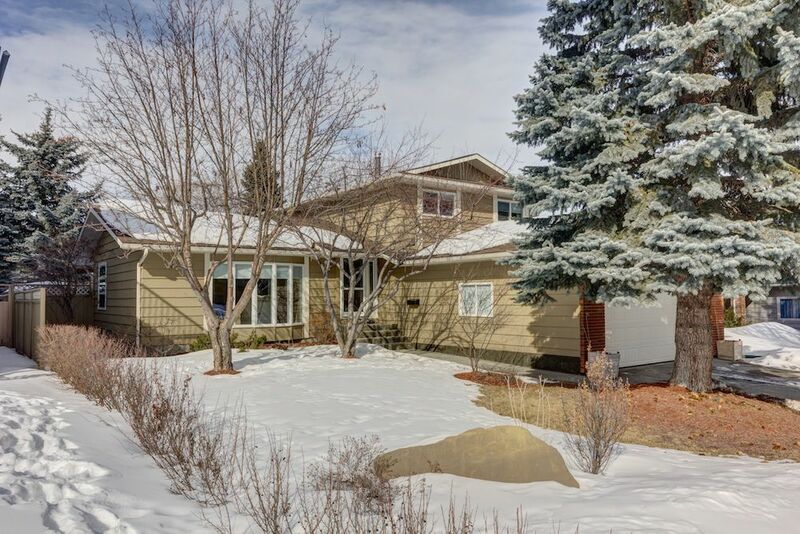 This beautiful 4 bedroom home has been extensively renovated. The kitchen has been completely updated with dark espresso cabinetry, granite, drawer organizers, cupboard pullouts & high end appliances including 2 built-in wall ovens, induction cooktop with retractable fan, built-in Gaggenau coffee station & cup/plate warmer. 2 brand new furnaces, newer windows & patio door, 2 new hot water tanks, new eavestrough's, new vinyl soffits, A/C, resurfaced ceilings with pot lighting & hot water on demand - you won't have to do a thing. 3 bedrooms on the upper floor, one on the main and a bright and cheery developed basement offering a great family area with a fitness or yoga corner. The covered deck is perfect for those summer evenings. There are so many updates, definitely Worth Viewing! Definitely Worth Owning!